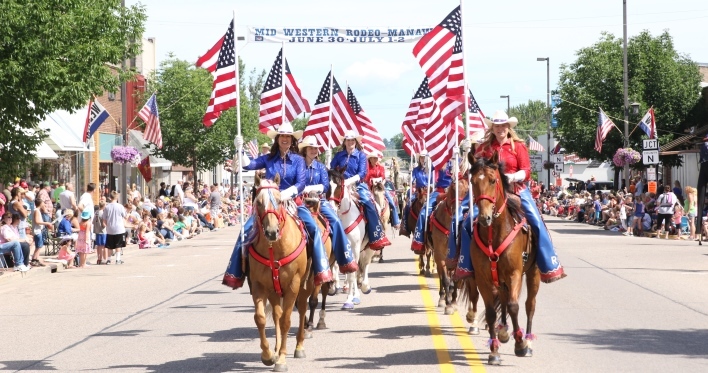 THE MANAWA MID-WESTERN RODEO PARADE BEGINS AT LITTLE WOLF HIGH SCHOOL, GOES THROUGH DOWNTOWN MANAWA AND ENDS AT THE RODEO GROUNDS. Patriotic, Western, Miscellaneous, and Antique Vehicles (autos and tractors). Awards will be given for 1st ($75), 2nd ($50) and 3rd ($25) places.